Heading out into Udaipur on a rather cold early morning with a mix of city roads and highways ahead of me, the new WagonR seemed eager. The engine under here is the larger of the two options ― and the sole option in the ZXi trim ― the 1.2-litre, four-cylinder petrol engine with 83 PS and 113 Nm, paired with a five-speed, automated manual transmission or, in Maruti’s terms, AGS (Auto Gear Shift). 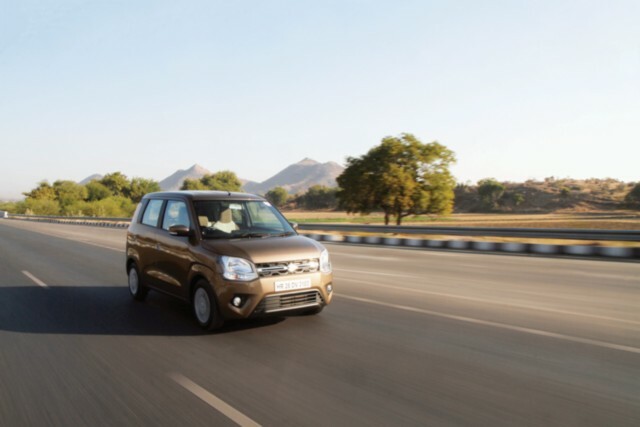 This engine and transmission combination is also available in the Ignis, Swift, and Dzire, of which the Ignis and I have spent a considerable amount of time together. The five-speed AGS unit takes some getting used to initially, but then it becomes appreciably predictable and is extremely convenient. Every time an up-shift is needed, just lift off the accelerator pedal for a split second and ease on the power again. It works in the city and on the highway. The info console now features a proper old-school white-lettered-red-needled speedometer and a red back-lit tachometer, too. Another big and very evident change is in the suspension set-up. 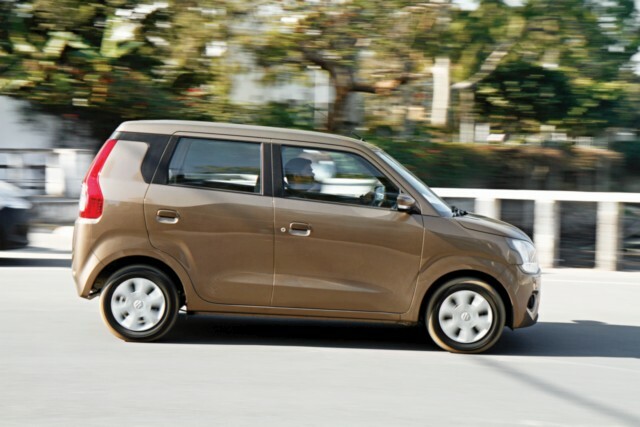 The new WagonR feels better sorted, with the Heartect platform seemingly furthering its dynamic credentials. The suspension soaks up bumps well and the rebound damping feels much nicer as well, leading to a more planted feel. That said, there is noticeable body-roll in sharp corners on account of its overall height and the steering feel is also quite numb. However, it does the job and feels good doing it. 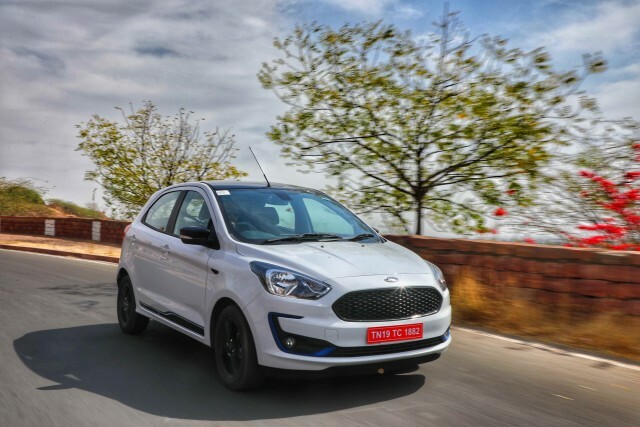 The 1.2-litre petrol engine has a good amount of oomph and can cruise at low engine speeds as well as rev up to triple-digit highway speeds. It feels planted enough and can handle lane changes and overtakes at speed without losing composure. Gradual braking is good, too, but I didn’t get a chance to stomp on the big pedal and see how it behaves under panic braking because every road in that part of Rajasthan was either dusty or had a bunch of people moving from the wrong side. For proper figures, wait for a full-fledged road test. As we headed back to return the car, the sun was up and another niggle surfaced. The Smartplay Studio was a big help and is easy to use. The haptic feel, too, is great and the day/night mode makes it easy to read. However, with the sun coming in from the rear left, the angle of the screen made it rather blinding. Come to think about it, I’m six-foot tall and it appeared to be angled pretty high. It would have been better on both counts if the screen were angled slightly lower, but not proper vertical. 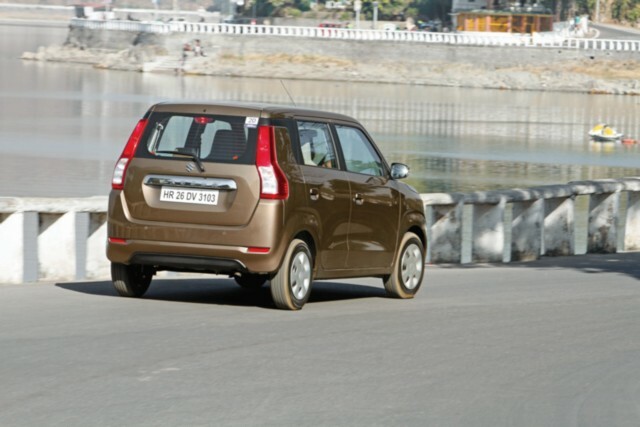 All said and done, the new WagonR is a big car for Maruti Suzuki. 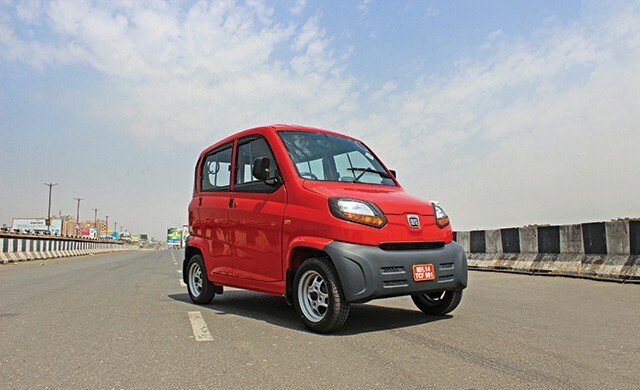 It ticks all the right boxes for a practical, smart car and comes with an enviable heritage. There are over millions of cars on the road and it’s one of the most versatile creations available. 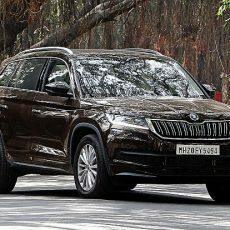 Starting from Rs 4.19 lakh and going up to Rs 5.69 lakh for this top-end trim with the auto shift make it good value indeed. Yes, it’s a box, but in a good way. It’s a new present for Maruti Suzuki and it’s a big step forward into the future.